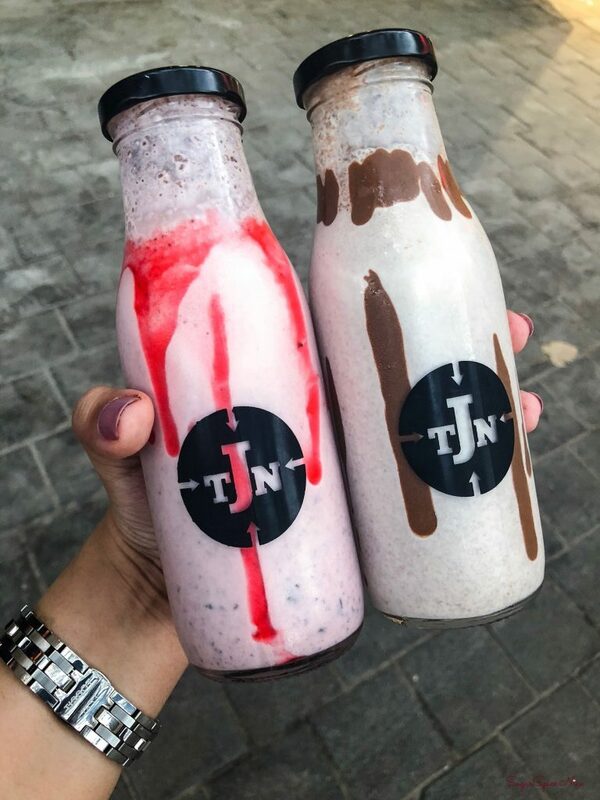 Early this year The Junction Matunga opened its doors to serve the best waffles, pancakes and shakes. 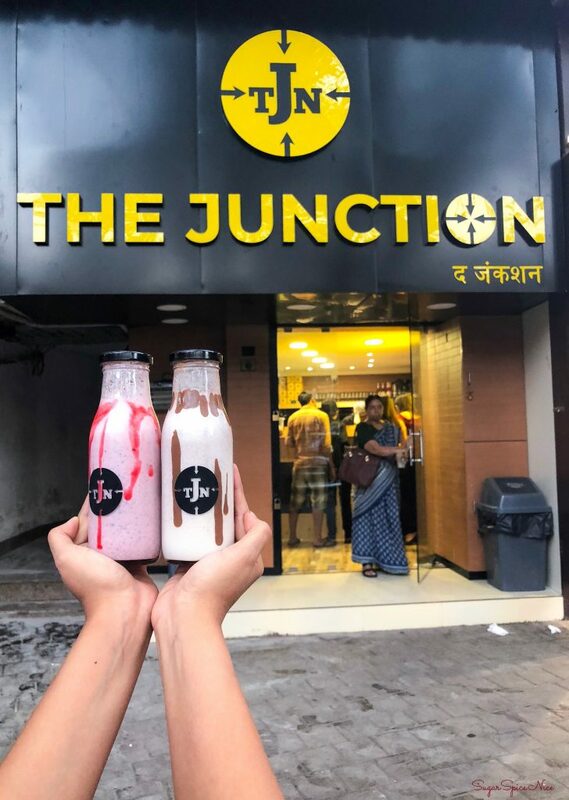 Satisfy your sweet tooth at The Junction Matunga. My recent visit there left me wanting to go back! I tried a whole bunch of things from their menu and loved most of them. 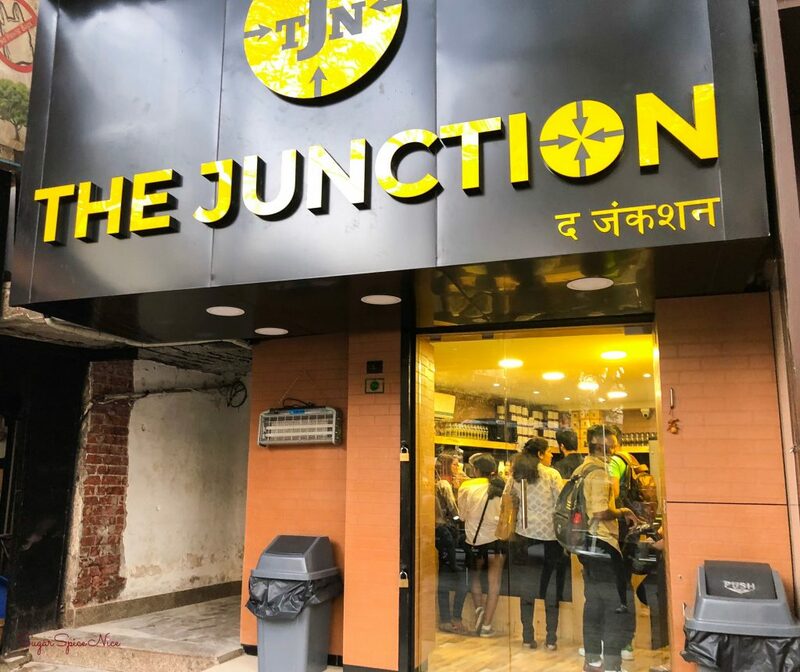 Here’s what I tried at The Junction. I’ve never been one to love Pancakes – until I tried the Red Velvet Bazooka at The Junction. So fluffy and so indulgent! 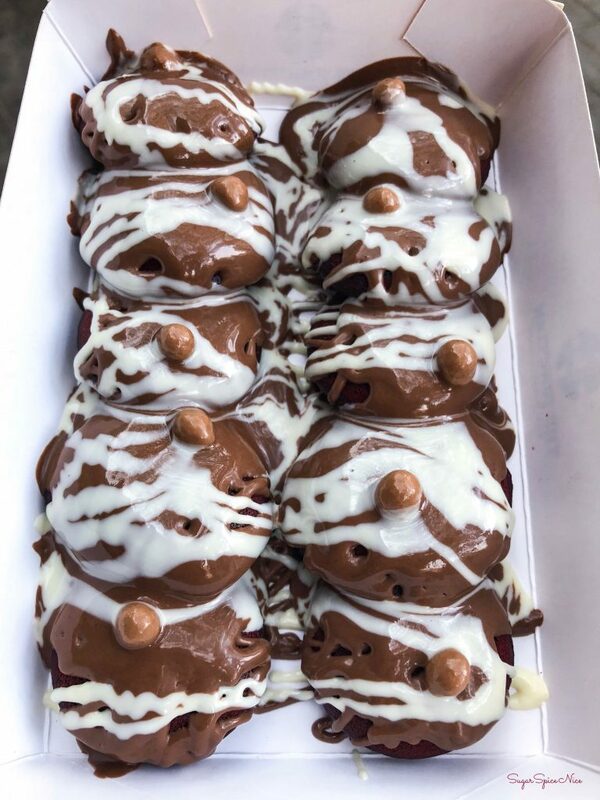 These are red velvet pancakes topped up with an over generous amount of nutella and white chocolate. 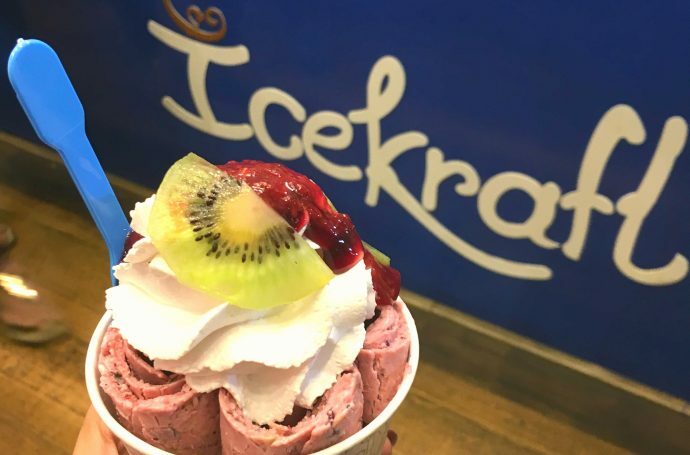 You can even request for some additional toppings. One portion serves served 10 mini pancakes and should cost approximately Rs.150. Now this is exactly as the name suggests – EPIC! 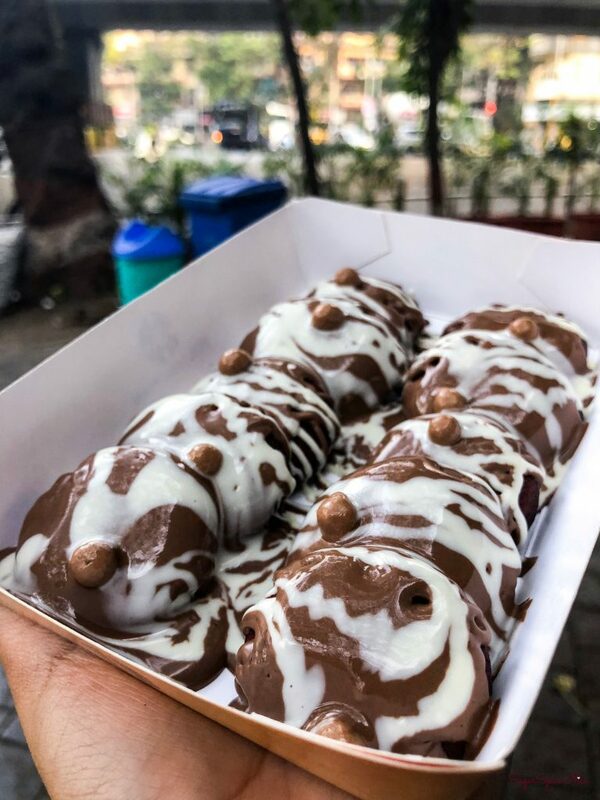 These pancakes are topped with nutella, dark and white chocolate sauce, chocolate chips, chocolate crisps and anything else that you want! Not only do these look so good, but they are also sinfully delicious. 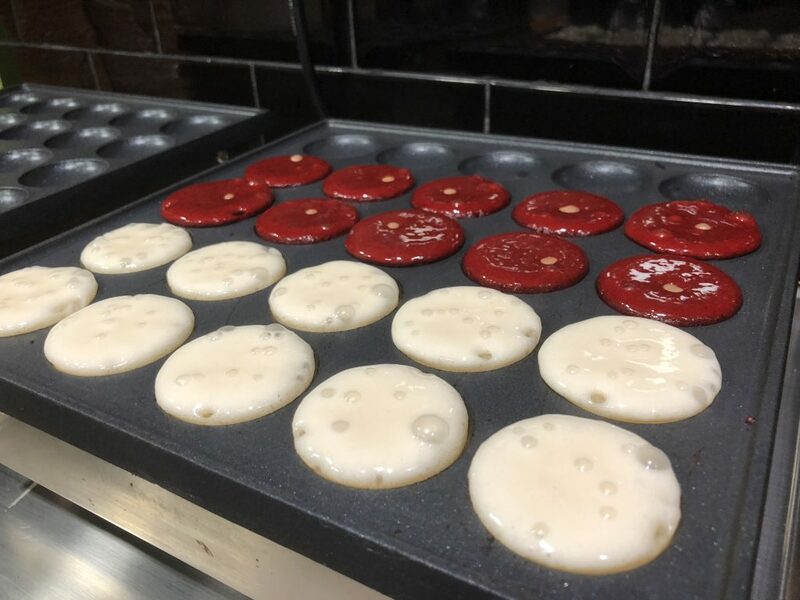 One portion serves served 10 mini pancakes and should cost approximately Rs.180. 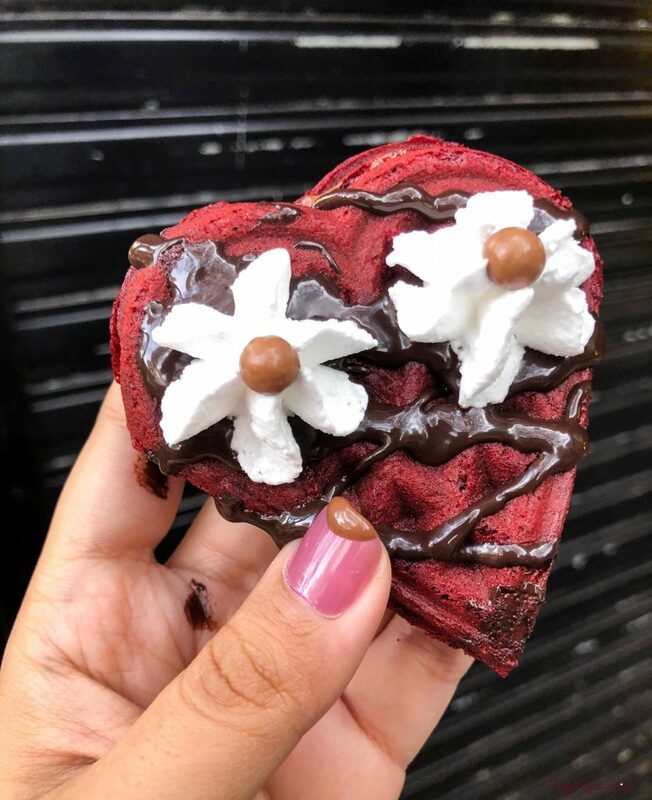 These are the cutest waffles I’ve seen – red hearts topped with whopped cream and chocolate sauce. And such a good size. Their waffles are neither too crunchy nor too spongy. 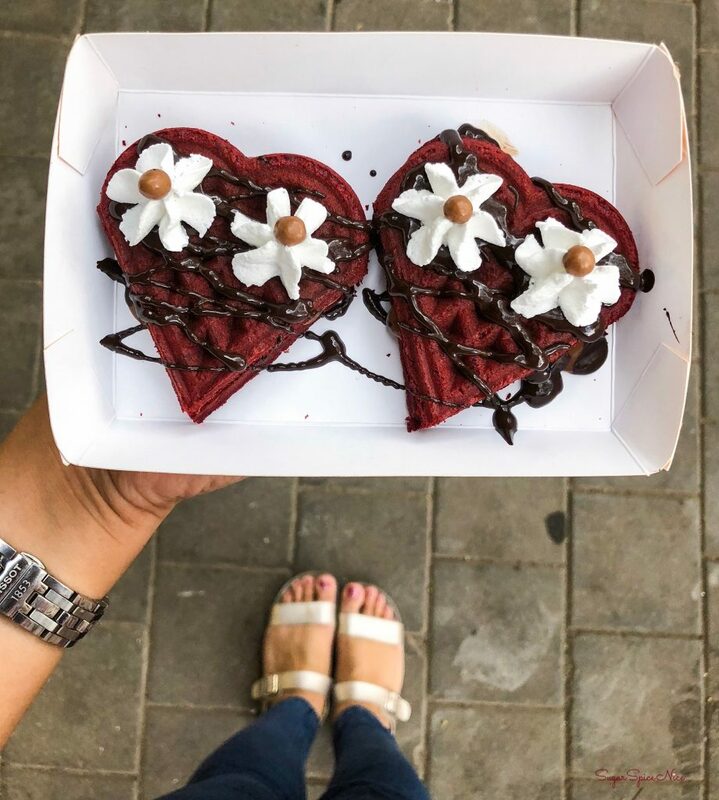 These would cost you Rs.180 and you get 2 heart shaped waffles in a serving. 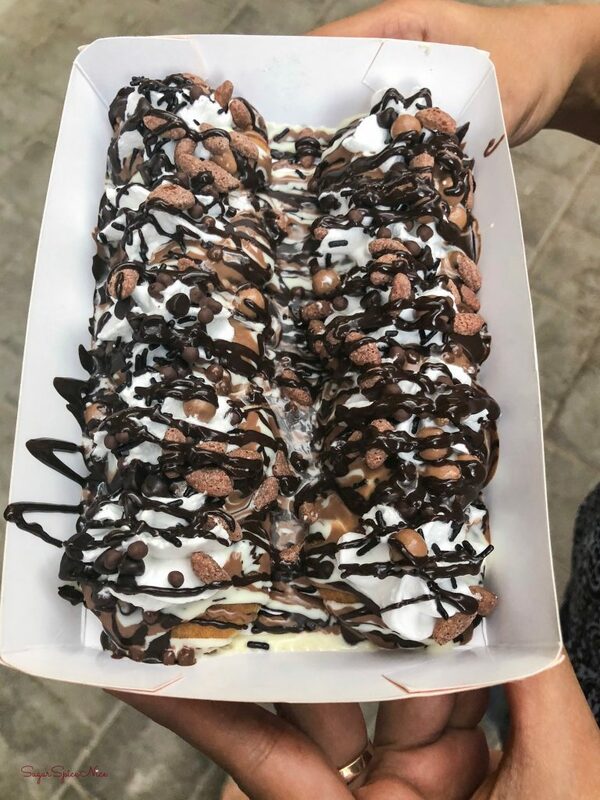 This is a regular waffles but with a combination of white and dark chocolate and it is topped with white chocolate chips. I found their waffles to be slightly bigger than the other places serving waffles in the city. This costs you Rs.120. 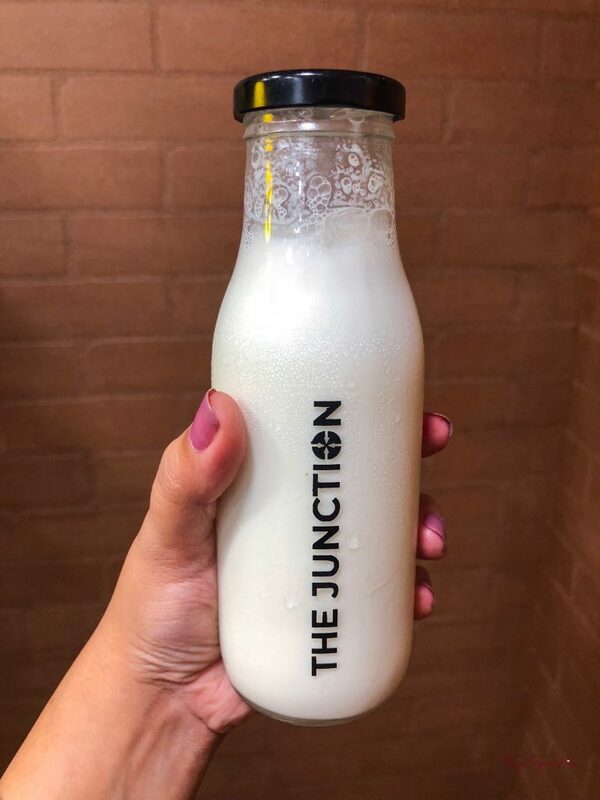 This is like drinking popcorn – the exact feel of munching popcorn is what you get with just 1 sip of the Popcorn shake at The Junction. And honestly, the flavor is kinda addictive. One bottle of this will cost you Rs.150. Strawberry and cookies is quite an underrated combination. 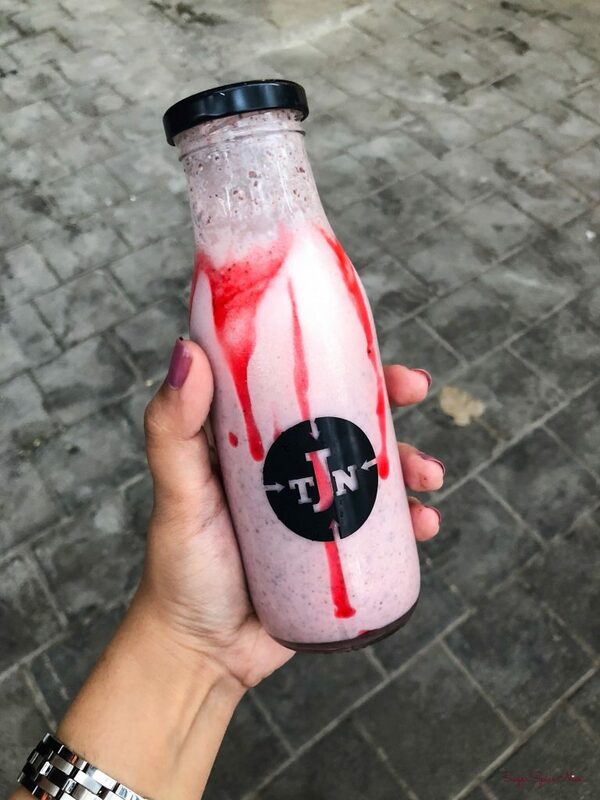 When I tried this milkshake here I was totally in love with the tarty strawberry flavour and the feel and flavor of a chocolate cookie with it. This costs Rs.150 and you absolutely must try it. When Hazelnut, Chocolate and Nutella come together, it feels like this shake. Definitely a must try for anyone who loves that hazelnut flavor. This one will cost you Rs.150. 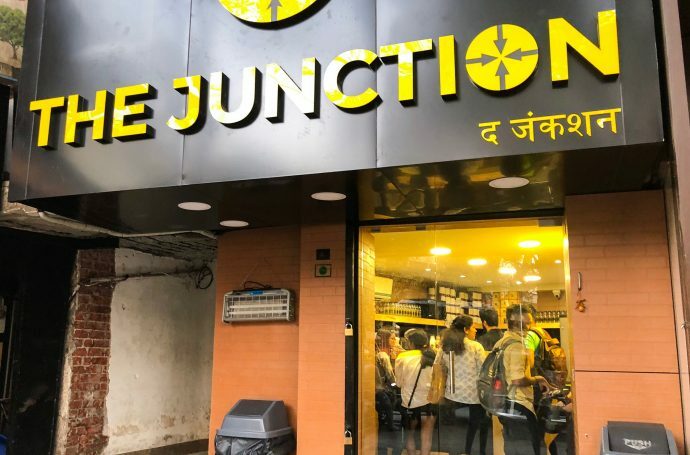 The Junction Matunga spells value for money for me. Generous toppings, so much variety, good flavors – they have it all going on. 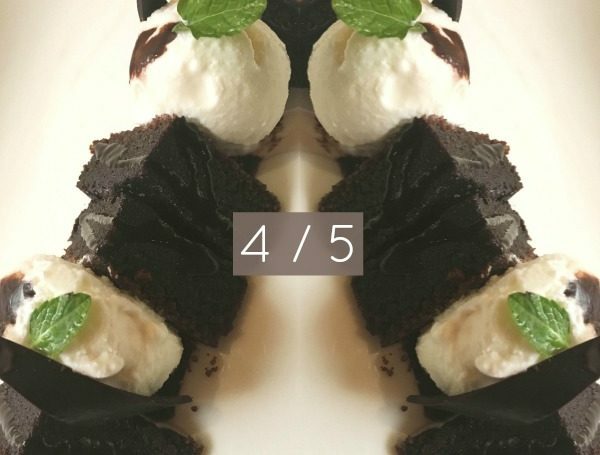 So if you feel like indulging on a budget then this is the place for you. 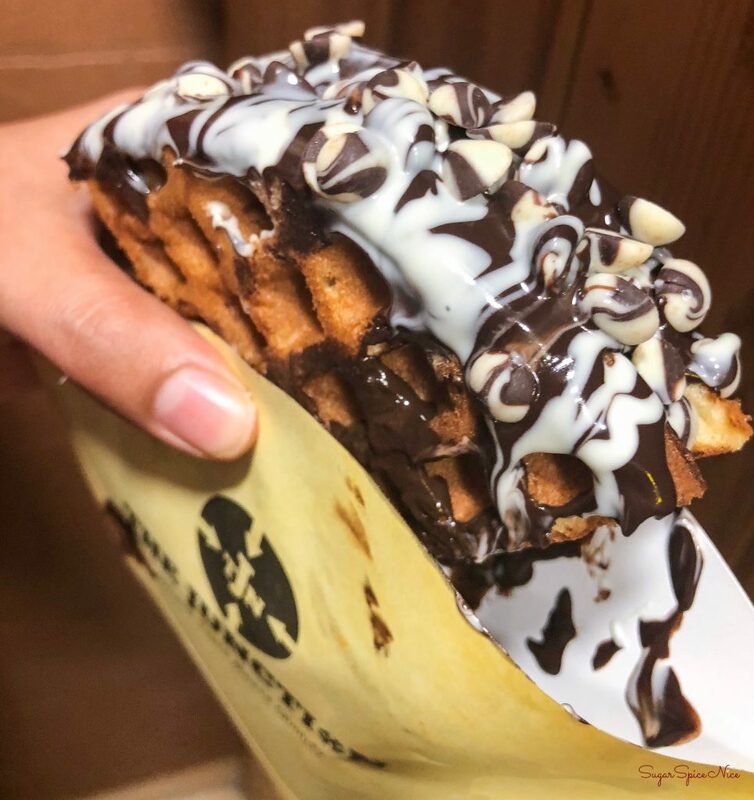 They also have something called Bombay 21 in which you get 2 heart shaped waffles, 1 milkshake and 6 pancakes and all of this for Rs.360. 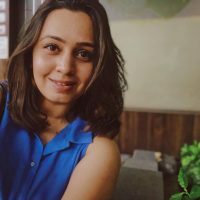 It’s a very good deal if you are going in a group and want to try multiple things. Hope this review was helpful. Stay tuned for my next post. Watch some of my videos on Youtube. 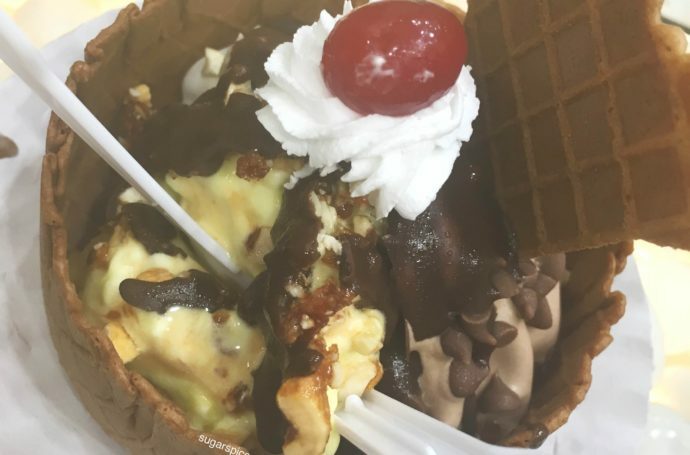 Icekraft Oshiwara – Waffles, savories and freshly rolled Ice Cream!